When I walked in the sewing room today my only thought was, "Seriously?" 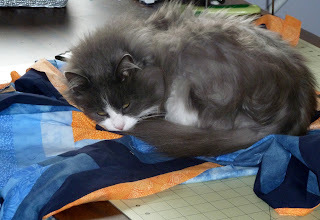 Is it really necessary for you to be sleeping on top of the Disaster Auction quilt? !